Today we continue our firm profile series with an in-depth review of The Advisory Board Company. The Advisory Board Company (NASDAQ: ABCO) is a professional services firm that offers resources to players who are mainly in the healthcare industry. The Advisory Board Company is perhaps best known for its membership platform which provides information, research and tools specifically targeted to companies pursuing operational and strategic organization improvement in the U.S. and around the world, with a premier niche in the healthcare space. The Advisory Board Company also offers technology, management, and consulting services. Although we will be reviewing this company as a whole, our focus will especially be on The Advisory Board Company’s consulting services. As we worked with clients who have been granted positions at this firm, we’ve developed some interesting perspectives on this company. Is The Advisory Board Company is a good company for you to work for? You’ll have to read on to hear our opinion (see Culture section in particular). But first, let’s start with some of the firm’s basic information. The Advisory Board Company Headquarters: Washington, D.C. The Advisory Board Company began in 1979 and was initially called the Research Council of Washington. The founder, David Bradley, set out with the lofty mission of solving “any question for any company for any industry.” In the years that followed, the company realized that solving any question for any company for any industry was a difficult first step for the small firm, so the firm started specializing in the financial services industry in 1983. Later that year the company changed its name to The Advisory Board Company. In 1986, the company started its membership program, the Health Care Advisory Board. In the years that followed, the firm grew to 150 employees, served a clientele of more than 500 health care organizations, and published a large number of major reports and research briefs. In 1993, the firm launched its now-famous strategic research membership for large companies. Amazingly, they landed close to 50% of the Fortune 500 in the first 2 years. In 1997, the company launched a consulting business named H*Works. H*Works was the first of many steps the company took towards building its prestigious (in the healthcare consulting world) consulting and managing services. Four years later, in 2001, The Advisory Board Company went public (NASDAQ: ABCO). By 2002, the firm had grown to a base of 2,100 memberships and had 500 employees. The firm also launched their Talent Development Division – The Advisory Board Academies – to address “the leadership gap in health care”. In 2003, The Advisory Board began to branch out into business intelligence and analytics launching the business Compass in the process. In 2007, The Advisory Board Company branched out again, launching membership programs in higher education. The firm also started growing rapidly through M&A, acquiring Crimson, an analytics, data, and business intelligence software provider focused on analytics related to physician performance, healthcare practice quality and cost management in 2008. In 2009, The Advisory Board Company acquiring Southwind to support its physician practice management services. In 2010, the firm established a new office in San Francisco. The Advisory Board Company also acquired the revenue management software company Concuity, and the year after, 2011, the firm acquired Cielo MedSolutions, an ambulatory patient registry software provider, and PivotHealth, a physician practice management firm. The Advisory Board Company acquired 360Fresh, a provider of clinical data analytics and ActiveStrategy, a performance improvement technology firm, in 2012. By 2013, the company had grown to an annual revenue of $400M+ with 2,400+ employees and 10 offices on 3 continents. The Advisory Board company also serves 4,100+ member organizations, most of which are in the healthcare industry. The Advisory Board Company has a leadership team that consists of a Chairman and Chief Executive Officer (Robert W. Musslewhite), a President (David L. Felsenthal), a Chief Talent Officer (Mary D. Van Hoose), and a Chief Financial Officer (Michael T. Kirshbaum). The firm has a more matrixed organization than most pure consulting firms, as much of its core business is in behind-the-scenes research, analytics and content creation vs. pure client service. The Advisory Board Company, as mentioned before, have a more complicated practice suite than many firms. In particular, there are 3 areas – the Consulting Division, the Research and Insights Memberships Division, and the Performance Technologies Division. The latter 2 are focused on content, while the first is provided as a service. The Advisory Board Company does a lot of back office work to support its memberships, but the Research and Insights Memberships division – while used as a feeder for consulting business – is not service-based like the consulting engagements are. The Advisory Board Company serves a number of industries with memberships, but the overwhelming majority of the consulting services (strategy and implementation) are in the firm’s core healthcare space. The Advisory Board Company also hires Marketing Associates, Account Management Associates, Business Analysts, Coordinators, and more at the undergraduate level. Once inside the firm, unlike many of the firms we profile, it is possible to transfer from one of these divisions (ex. Marketing) into the consulting division. As The Advisory Board Company is small (when compared to the Accentures and Deloittes of the world), it offers a limited number of internship opportunities, especially in the Consulting division. The internships that are offered usually occur during the summer and are 20-40 hours per week for 7-11 weeks. The internship salary ranges from $10-16/hour at the undergraduate level. At the postgraduate level, the compensation ranges from $21-23/hour for an internship in research and $28-30/hour for an internship as a business analyst (client-facing). To see available internships, visit the firm’s Careers page. There are a wide variety of exit opportunities for those exiting The Advisory Board Company – in fact, it’s a great place to use as a springboard to other top firms or positions in business analytics – and killer experience in preparation for further work in the healthcare space. A significant number of The Advisory Board Company alumni now hold positions in other top 20 consulting firms – at firms including PwC, Bain, Deloitte Consulting, and Boston Consulting Group. Other popular exit choices include jobs in marketing, IT services (usually for those working in the Crimson division), and directly into healthcare (especially operations or analyst roles). When thinking about working at The Advisory Board Company, there are several factors to consider. The firm employs a relatively young workforce. What does that mean? On the upside, the firm has a somewhat energetic vibe with perks like happy hours and jean casual Fridays. Also, there are lots of opportunities to connect with other super intelligent, interesting, and hopefully fun people. The downside of that, however, is that the company lacks a certain level of maturity and establishment. Why? The firm focuses more on expertise and pedigree than merit, and the firm’s high turnover rate is self-fulfilling – low cultural cohesion leads to more of the same. Also, the compensation is lower than the industry standard, which is a reason why many people leave the firm – they get trained, and they get out. Yes. We said it. The compensation at The Advisory Board Company isn’t that great (if you’ve got other offers on the table) but there are still several reasons why should consider working at the firm. First, the Advisory Board Company is a great opportunity to learn and develop key specific skills that will make you a valuable candidate for your next job (as mentioned before, many have transitioned into other top 20 consulting firms after working here). Second, for those of you who love working with both business and healthcare, The Advisory Board Company is ranked by many top lists (see Awards below) as one of the best places you can work in healthcare, even ranking higher on Glassdoor than L.E.K. Consulting. A person who is interested in healthcare consulting – it’s one of the best healthcare consulting firms period. Someone fresh out of school – it’s a great opportunity to learn and develop skills that will help you in the future. In the healthcare space, The Advisory Board Company compares to MBB, but if you had the choice to go straight into industry or into the consulting arm at Advisory Board Company, we’d recommend Advisory Board every time to set you up for long-term career success. Advisory Board Company has 4 core values that define its purpose – it makes sense just to include them verbatim here. The Force of Ideas: The belief that sound and inspired ideas triumph, serving as the leaven to great organizations and carrying the enterprise forward as surely as organizational resources, market power, or sheer effort. The Power of Language: The recognition that “words matter,” that the impact of even the best insights is a function of how effectively ideas are conveyed, and thus our communications with members and with each other should strive for precision, acuity, and grace. The Spirit of Generosity: The notion that neither members nor our staff should view this as principally a commercial association; rather, our ambition is to serve members and each other beyond expectation, with honest appreciation in every encounter. Running to Criticism: The conviction that exceptional contributions requires an ethic of seeking unbiased feedback and a commitment to addressing, both individually and collectively as a firm, our most critical development needs. Here is a list of some of the awards that have been granted to The Advisory Board Company (well done, ABC!). For more awards, visit The Advisory Board’s Company webpage. Interviewing at The Advisory Board Company is relatively straightforward, but that doesn’t mean it’s easy. “Thinkers wanted” are the 2 words applicants see when browsing the firm’s career page, and the statement reflects The Advisory Board Company’s high value on thinking, research, and analysis (it is a research-based company after all). The firm isn’t just looking for thinkers, though – they are looking to hire problem solvers, communicators, and team players. The interview process can take any time between 5 days and 2-3 months, although the average process takes 2-3 weeks. The process usually begins with a screening round by an HR rep (most of the time by phone). 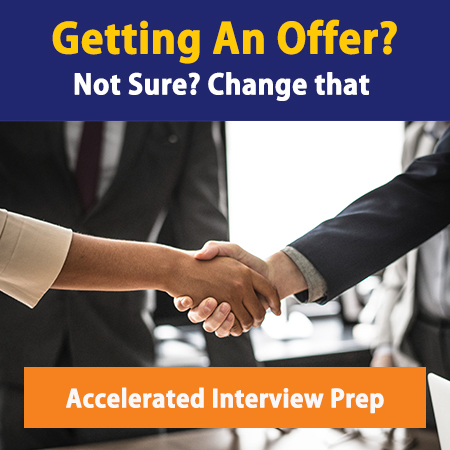 Once passing the initial screening, there are 2 to 4 more rounds of interviews that include both fit and case study questions. These interviews are usually held in the office. For the business, research, and consulting positions, The Advisory Board Company asks a mixture of fit and case questions. They put a heavy emphasis on the fit section as they emphasize how well you will mesh inside the organization. Be sure to do your homework on the firm’s attributes and values before the interview (use the HR screen to ask great questions about this) and be ready to communicate the experiences mentioned on your resume. And yes, come with at least 6 hero stories prepared! The case interview questions are straightforward and usually interviewer-led. That being said, they are known to throw in a curveball (brainteaser or blue sky question) every once in a while, so – as always – be prepared for anything. As a side note, several people who have interviewed with The Advisory Board Company have recently complained that the interview process at a couple of the offices have seemed disorganized and others have commented that they could tell the HR reps were reading scripts during the screening round interviews via phone. The firm has been growing rapidly and undergoing many changes with recent acquisitions. Hopefully those issues will be sorted soon! We make staffing decisions on the basis of demonstrated gift and accomplishment – not credentials or tenure – and offer ample professional development and growth opportunities. We manage workloads and favor flexibility such that our staff – strong work and service ethic notwithstanding – can contribute long-term and have fuller lives beyond the firm. Need help preparing flawless hero stories or nailing case interviews? That’s what we are here for! You can book one-on-one prep sessions with us on our Plans and Pricing page. Be sure to check out our ninja-awesome Black Belt package. A large majority (~60%) of hires at the Advisory Board company come from online applications, while a portion (~25%) come from referrals from employees and alumni (The Advisory Board Company awards alumni and employees a bonus, usually around $1K, for every person they refer who passes the interview process and accepts the job offer), and the rest from campus recruiting or via a recruiter. The firm does not have clearly delineated diversity programs like some of the larger firms do, but does target traditionally African-American schools in its core school list – a practice which is not standard across all consulting firms.